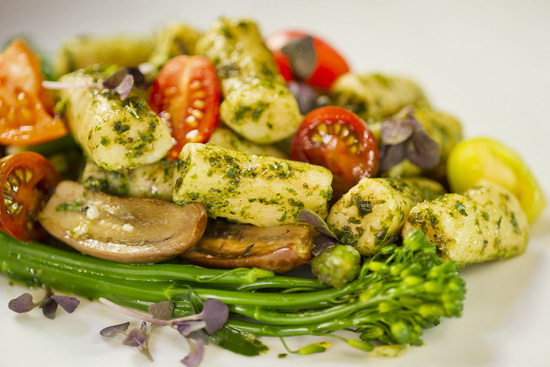 Mama Melrose Ristorante Italiano has a new chef - Chef Beatriz Candelario, and new menu items! Chef Candelario is a Walt Disney World veteran. She's been cooking up delicious Disney food for 15 years and most recently at Cape May Cafe. 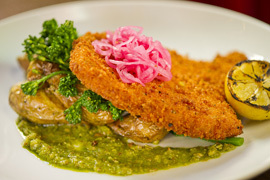 The Disney Parks Blog recently shared some of the newest dishes coming from her kitchen. 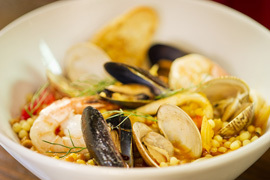 New dishes include Cioppino, fresh clams, shrimp, calamari and mussels tossed with fregola pasta in a light tomato broth; pork Milanese is served with fingerling potatoes and pancetta vinaigrette; and gnocchi with seasoned vegetables in a basil pesto. Don't these sound delicious? 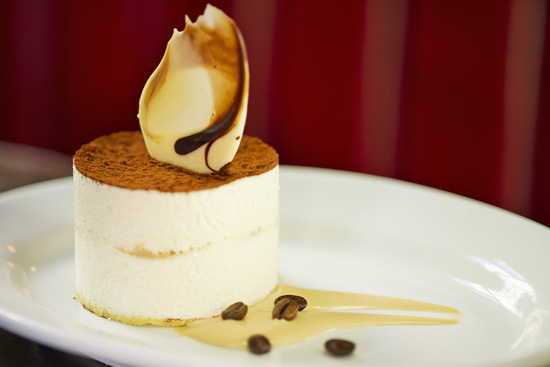 For dessert, tiramisu semifreddo, meaning half cold tiramisu in Italian - layers of buttery mascarpone, ladyfingers, and Marsala wine with coffee sauce. Which of these dishes are you most looking forward to? I can't wait to try the gnocchi!